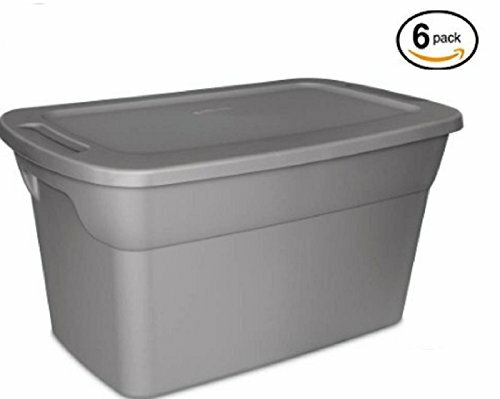 The Sterilite 30 Gallon / 114 Liter Tote offers classic styling and high quality, and is ideal for storing household items throughout the home, garage, basement or attic. The lid fits tightly to the base, and multiple totes are able to stack securely on top of each other. Contoured end panels create a comfortable surface for easy lifting and transporting. - Overall Assembled Size: 32 5/8" x 19 3/4" x 17 1/4"